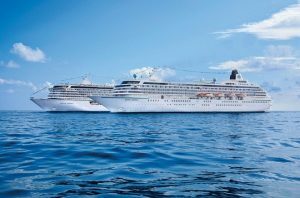 Luxury travellers can pursue their favourite passions and create new ones as they travel the world with the World’s Most Awarded Luxury Cruise Line, as Crystal Cruisesunveils its expansive roster of theme cruises for the next three years. The 2019, 2020 and 2021 Experiences of Discovery voyages will present enhanced programming in specialised subjects, featuring special guest lecturers and instructors for interactive sessions on board, as well as experiences ashore that further enhance the immersive voyages. 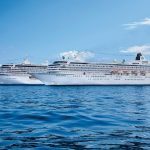 Several of the line’s all-inclusive luxury sailings will feature programming for more than one dedicated theme, allowing guests to further expand their interests. Golf – Golfers can perfect their swing on board with PGA instructors and learn insights of the PGA tour from guest golf celebrities and experts. On optional adventures ashore, they can challenge their handicap on spectacular and renowned courses in Western Europe, the Mediterranean, Asia and Pacific West Coast and Hawaii, with Crystal taking care of the details, including club transport, storage and cleaning, plus special onboard instruction from pros and friendly competitions among players. Magic – Crystal’s exclusive partnership with the renowned Magic Castle presents the sleight of hand and mesmerising illusions of talented magicians in the Caribbean, New England and Canada.